Those of you that follow me on Facebook, Instagram, Pinterest and Twitter know that I am definitely still around, I've just been traveling and enjoying my new 9 to 5. 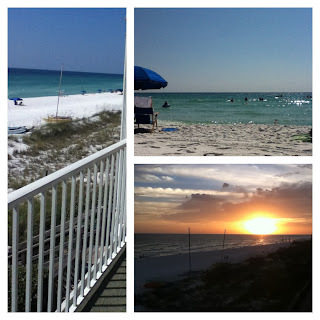 This past weekend, my partner and I managed to sneak in a weekend getaway to Destin, Florida. This was our first trip to Destin, but let me tell you, I am sold! It is the perfect place for a beach getaway, especially this time of year, the weather is still warm enough to enjoy the ocean, but the summer crowds are gone. Not to mention, Destin is only a 5 hour drive from Atlanta and the seafood was amazing! Camille's was our breakfast spot. It's right across the street from the beach and they had some yummy eats to offer. 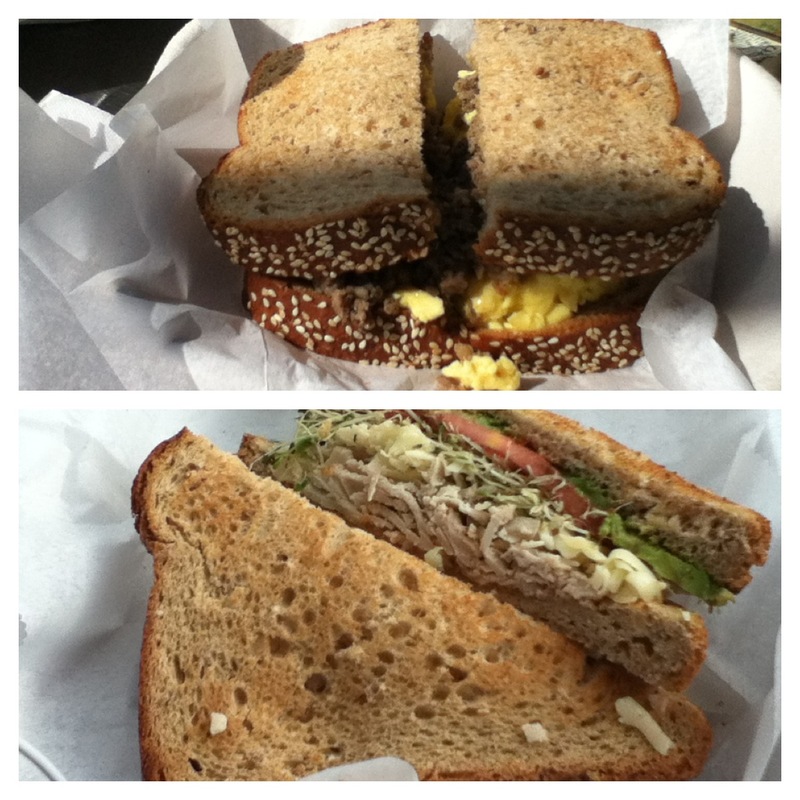 Top: sausage and egg on 9grain bread... also known as So Yummy! 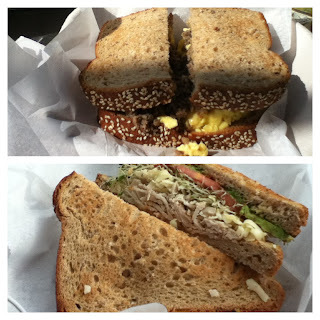 Bottom: Turkey, avacado and sprouts on 9grain bread... also very delish. 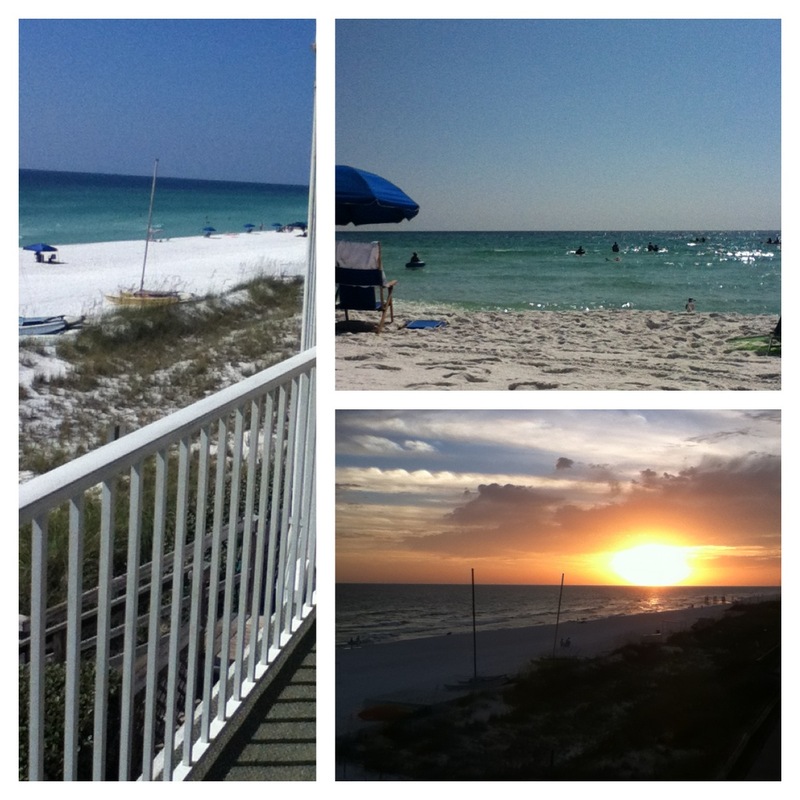 I will definitely visit again, the next time I'm in Destin. 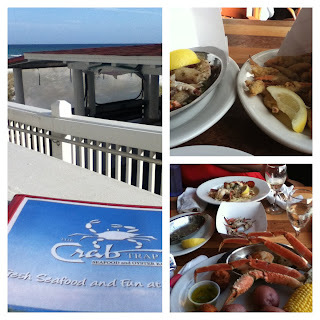 The Crab Trap was our absolute favorite place! I can't believe urban spoon had them listed as #36! I don't care what the reviews said, the service was wonderful, the location is great and the food was wonderful! It is located right on the beach so you have a wonderful breeze and beautiful view in addition to the delicious food. 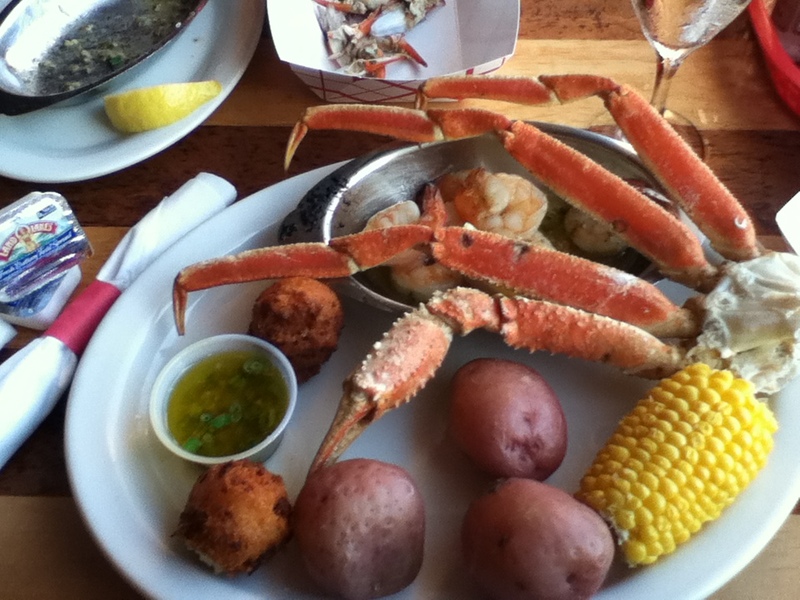 Top right: The most delish blue crab claws. We tried it both ways, scampi and fried, both were wonderful! 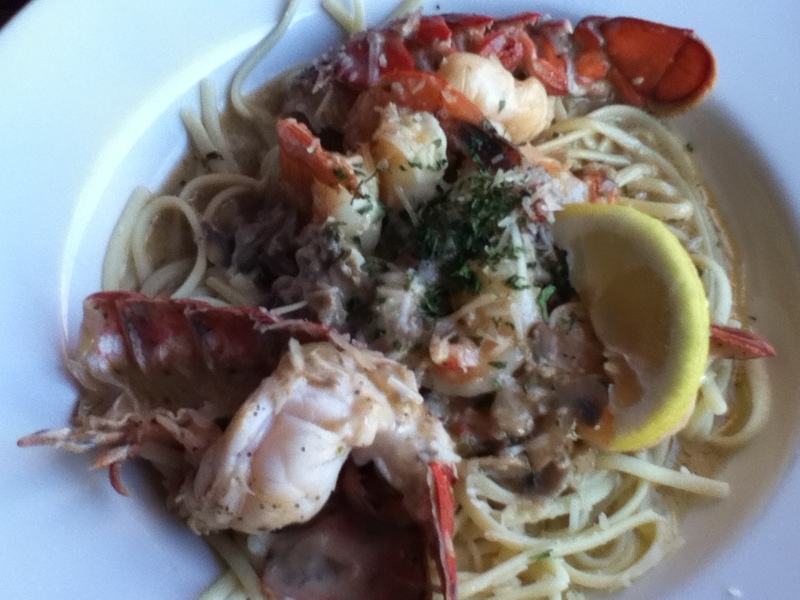 Bottom right: Shrimp and crab boil and lobster and shrimp pasta in a creamy basil sauce. Yum and yum! Shrimp pasta in a creamy basil sauce. Last but not least was Crab Island Cantina at Harbor walk. We just stopped in for a couple of appetizers and beers while we were strolling down harbor walk. Funny enough, they didn't have great reviews but the two starters we had were fantastic! Delish ceviche with shrimp, scallops and fish. Lump meat crabcakes with corn and black bean salsa and cilantro cream sauce. Delish! What is your favorite weekend getaway destination? Share your comments below!